South Africa is known, the world around for its abundance of wildlife, not least of all its many birds. It is home to more endemic birds than any other country on the continent. Of the 850 recorded bird species in the country, around 725 are resident birds. An impressive 50 avian species can only be found in South Africa, giving birders a prime opportunity to spot something very special. The key factor in both the number of species and the degree of endemism is the diversity of habitats. It’s literally a world in one country, divided into seven different biomes, arid and moist savannah, desert, forest, grassland, Karoo (a semi-desert type biome) and Fynbos (chaparral-type vegetation). While the savannah occupies much of Africa south of the tropics, and desert comes into its own in neighboring Namibia, the other biomes are fairly unique and as such holds much interest for international birders. The Western Cape offers pristine beaches, lush wine lands around Stellenbosch and Paarl, craggy cliffs at the Cape of Good Hope, forest, and lagoons along the world-famous Garden Route, and the city of Cape Town, beneath the flat-topped Table Mountain the New 7th Wonder of Nature. Come and Explore. All of our tours use the services of Raymond Rampolokeng, an Africa Bird Tour Guide excellent and well-recognized expert on birding in South Africa. Most trips have two birding guides. Tour package includes all lodging, meals and drinks, access fees to reserves, parks and other birding sites. Local ground transport is included. This includes a large transport van for most of the trip and 4×4 vehicles in some locations. We provide information on the birds you will see and all the travel details, including all logistic details (arrival plans, trip itinerary, and more). This itinerary is especially well suited to any time of year. 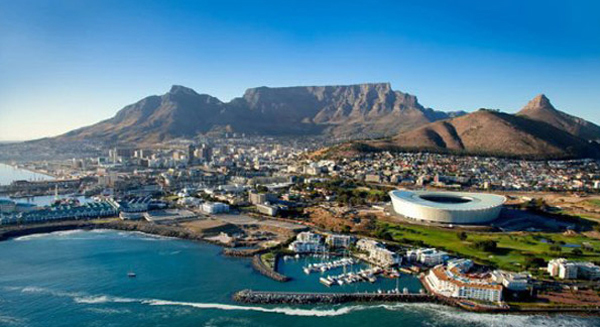 South Africa is especially ideal during the winter months (May – September). These months are among the coolest, and additional layers are strongly recommended for early mornings and evenings. Cooler temperatures also make for pleasant conditions, though the winter months do experience more rain. We are happy to answer any question you may have and/or provide you with a detailed itinerary of the tour and trip reports (reports of birds and other wildlife actually seen on our trips) or more details on trip logistics (from vehicles used to lodging details).